I’m excited to share a new story time video with you all today! Be sure and tell your Mom or Dad or Grandma or Grandpa or Aunt or Uncle to leave me a comment below and let me know how you liked it and I’ll try to read you another story again soon! This was the library book my grandchildren chose at the library last week. I can’t wait for them to get back to the house next week for me to play this video for them! Lillian very much enjoyed this story, she waved goodbye to you when you waved. So sweet. We found this book at a garage sale this summer, and we all love it! I can’t wait to play this for my two year old when she wakes up! Until then, mommy’s watching them. You know I have to make sure that they are appropriate for her. Wink! Wink! My kids totally love your story times! I had to play all of them for the kiddos this afternoon. They were sad when we got to the last one. Thanks for taking time out of your very busy schedule to read to my little cuties. My Two year old loved your stories! When it was over she said, “I love you Christy” and hugged the computer screen. Please keep them coming. My 2 1/2 year old granddaughter chose this book at the library yesterday. We’re enjoying it very much. I show her your video when she comes back next week. The day after I saw this post, my son’s kindergarten teacher read this book in class! I had never heard of this book before. My son loved it and has been walking around the house talking about it ever since! I love your website and watching your videos. Thank you for keeping me positive and inspired every day! 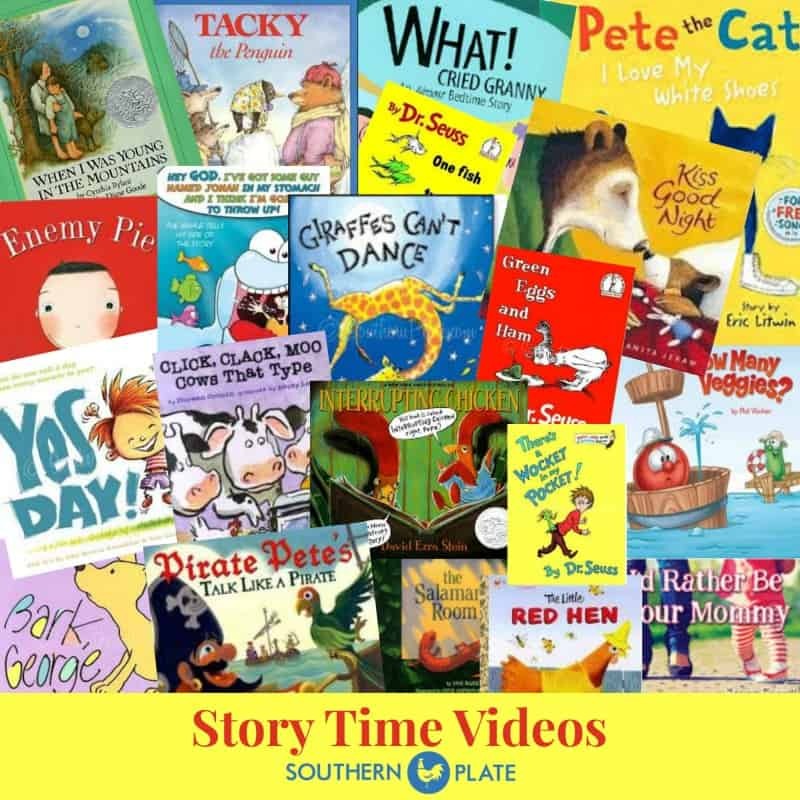 We love the “Click Clack Moo” series of books! Oh! my daughter loves this book. Can’t wait to show her. Christy, Thank you so much for reading this! My son loves the other books by this author, so I knew he’d love this one too 🙂 Just a great idea! I love this book and read it to my children many times. 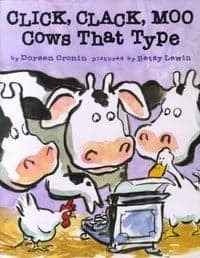 I really like books about cows anyway. Which reminds mem have you read any of the Minnie and Moo books? They are also hilarious! They have little chapters, and I think that the humor is for kids about Brady’s age (and the age of 50 year old grandmothers and mothers–namely me!). I especially love Minnie and Moo Go to the Moon. The farmer uses magic words in it, and they are sooooo funny. If you have not read these books, I suggest that you get a hold of one and be prepared to laugh. Oh, how precious!!! Please give her a BIG hug from me! !